You might have already read our snippet about Helium Digital’s HDBT-990 Bluetooth Wristband Communicator they announced at the 2010 Consumer Electronics Show. 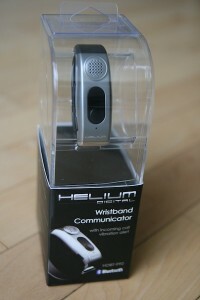 I’m happy to announce that we managed to be the first on Helium Digital’s list to be sent a demo for a hands on review. 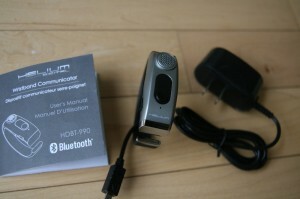 Let’s see what the HDBT-990 is all about, and how it performs out in the wild. Up to 4 hours talk time, and 160 hours standby time. Supports A2DP (Stereo), Headset, and Handsfree Bluetooth profiles. Echo elimination and noise cancellation to optimize call clarity. 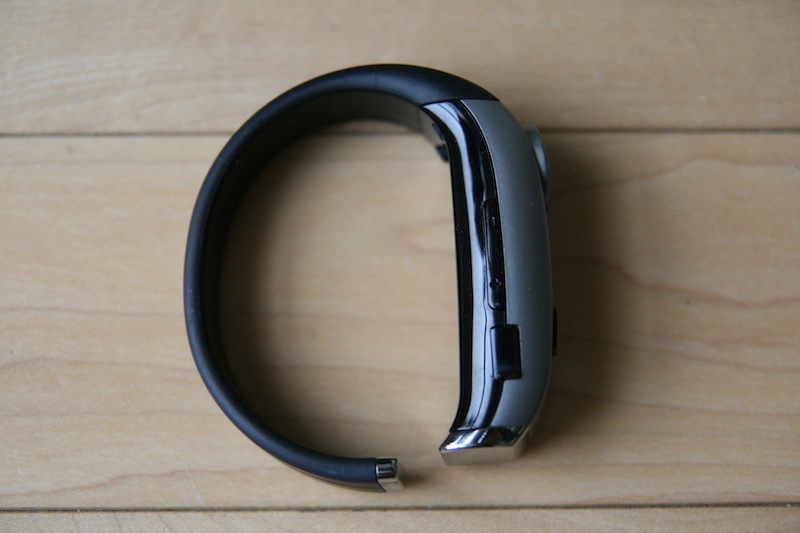 At first, you’re probably wondering when would need a Bluetooth wristband communicator. Well, I can think of many places: the golf course, playing other sports where a headset might fall off, social events where you want to look like a spy, etc. First things first, the HDBT-990 is easy to put on your wrist. There is no latch so it’s best to use this when you’re not doing physical activities (such as game of 5 on 5 basketball). 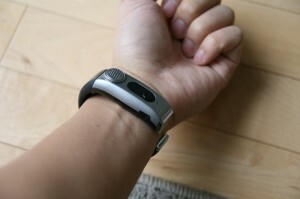 Even then, it is able to stay on your wrist securely. The build quality of the unit is decent. There is a main button on the front, a speaker, a volume rocker, LED indicator, and a miniUSB port with cover. The unit looks pretty good and is very light. Pairing it up with my iPhone 3GS was a cinch. When there’s an incoming call, the unit vibrates and a melody plays. There are options to toggle each feature on/off. To answer, you just press the main call button. Not sure who’s calling? Press the volume rocker button and the unit reads out the number with Text to Speech (TTS). I would’ve liked to have seen an LCD screen to display caller ID here. By the time the unit reads out the 9 digit number, my caller might have already hung up or been sent to voicemail. The volume of the tiny speaker is pretty decent. The HDBT-990 is not meant to be used in noisy environments. I guess it would be pretty annoying to have some crazy dude speaking into his wrist on speakerphone inside a coffee shop. Incoming call quality is actually pretty good, considering the speaker is so tiny. As for outgoing call quality, my unscientific tests resulted in some good sound and clarity. The noise cancellation does work as speaking into the unit in the bathroom with the fan on (don’t worry, I wasn’t doing any dirty business) was pretty successful. You can also play music for casual listening, but don’t expect Bose-like quality from the small speaker. I managed to test the Helium Digital HDBT-990 out in the wild. During my weekly outings of playing pick up basketball, I was expecting a very important phone call. Would the HDBT-990 stay on my wrist? Would it still stay in range to operate with my iPhone? So here I am, looking like a weirdo on the court and having to explain why I’m wearing some sort of gizmo on my wrist. 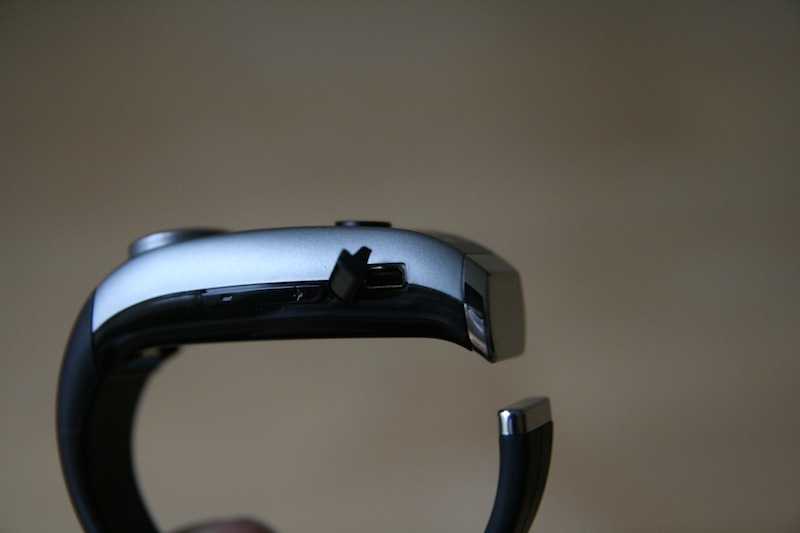 The HDBT-990 did not fall off, even with my wrists covered in sweat. Luckily I wasn’t fouled hard as it would’ve been interesting to see if it would’ve survived. 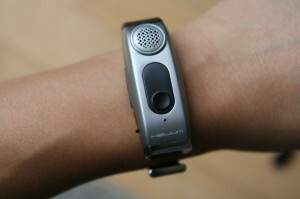 All in all, I was able to use the wrist communicator from the court and it worked exactly as advertised. Voice Control works with my iPhone 3GS, and there is an audible alert to let you know of a missed call. 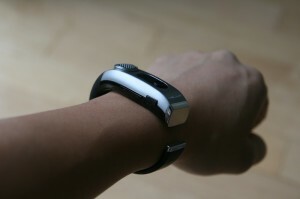 You can wear it like a watch, or have the speaker facing the bottom of your arm, to make it more inconspicuous. Final Thoughts: Is the Helium Digital HDBT-990 Worth Your Time? After testing the unit for the past week or so, I’m happy to say that the HDBT-990 works pretty well with my iPhone 3GS. It fits comfortably on your wrist and is a great way to discreetly take calls if you’re out and about, without having to look like a Star Trek groupie sporting a regular BT headset. Sound quality is good both incoming and outgoing, and battery life is pretty reasonable. A few issues with the headset include the lack of LCD display for caller ID (something to look forward to in the next generation? ), and the flimsy miniUSB cover (it takes some work to put back on). Voice Control (iPhone 3GS) worked well with the unit. With these issues aside, the HDBT-990 is a pretty solid Bluetooth communicator for your wrist. Priced at $89.99, it’s definitely a higher end Bluetooth product. However, it does work great for calls so that is a plus. I think the HDBT-990 is a great device that will make answering calls in environments where you don’t want to sport a BT headset quick and easy. You will feel like a CTU agent when you’re speaking into your wrist, which will let you live out your lifelong dream to be Jack Bauer–except nobody can be like Jack Bauer except Jack Bauer. Click here to visit Helium Digital. More info is available from the manual too. PS – Someone is going to WIN this HDBT-990 Bluetooth Wristband Communicator! It’s going to be part of our 2 Year Blog Anniversary Giveaway that kicks off this week. Stay tuned!